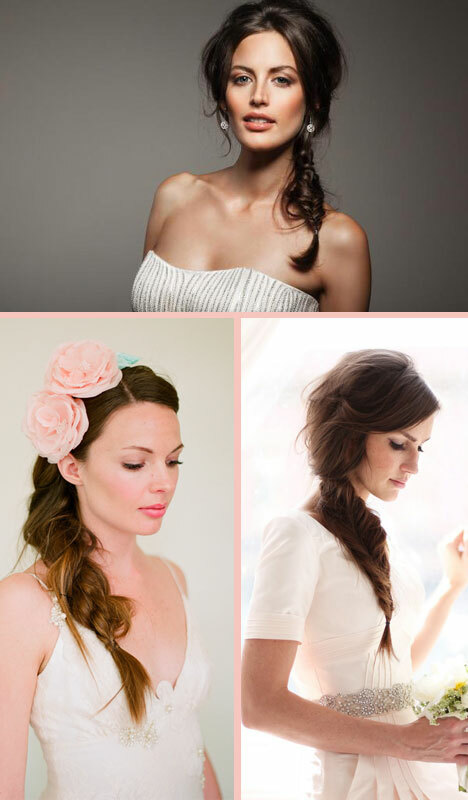 bride.ca | Bridal Hair Styles 2012 : The Braid is Back! 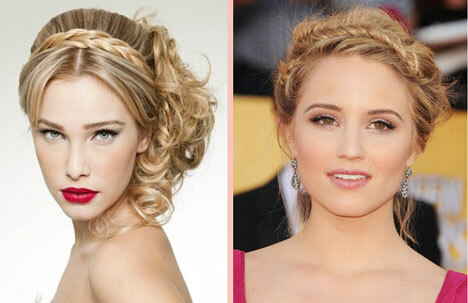 Bridal Hair Styles 2012 : The Braid is Back! What came first, "The Hunger Games" or the side braid? The popularity of 2012's blockbuster hit, "The Hunger Games" has also made the side braid (worn by one of the movie's main characters) one of the most popular hair styles of the season. Although it was meant as a casual, bohemian look, you can dress it up to make your wedding day hairstyle both modern and formal. Maybe it has something to do with the "Hunger Games" phenomenon but... from fishtails to the classic French, braided hairstyles in general are back with modern twists and turns. Delicate, youthful, and fun... braids are the perfect compliment for brides looking to add something special to their wedding day style. More braided hairstyle options? Check it out! They frame the hair just like a hair band would. 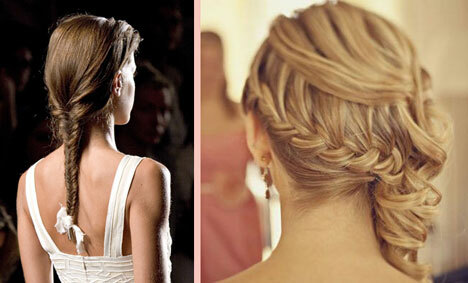 Intertwine some delicate ribbon or pearls to dress up the braid or keep it as is... the choice is yours! They can be one single braid running along the back of the head, two separate braids that travel along the side of the head and meet in the back, in a bun for added glamour or loose for a more playful look, or one braid that frames the face and ends in a side braid or pony tail. Great additions to an otherwise very simple down do... simply braid small strands of your hair and pin them into place. Leave the rest of your locks down in a smooth straight style or loose curls. Simple, elegant and oh so pretty! 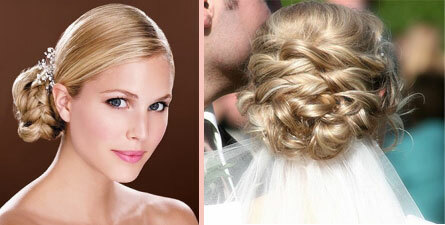 Perfect for the glam bride that wants lots of drama without compromising fashion for her wedding day hairstyle. 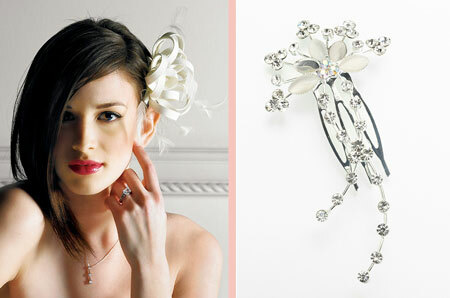 Floral accessories, crystals, pearls and ribbons are a fabulous way to dress up a braided hairstyle. Add as much or as little embellishment as you wish; just remember the goal is to compliment your appearance, not to overpower it with too many accessories.